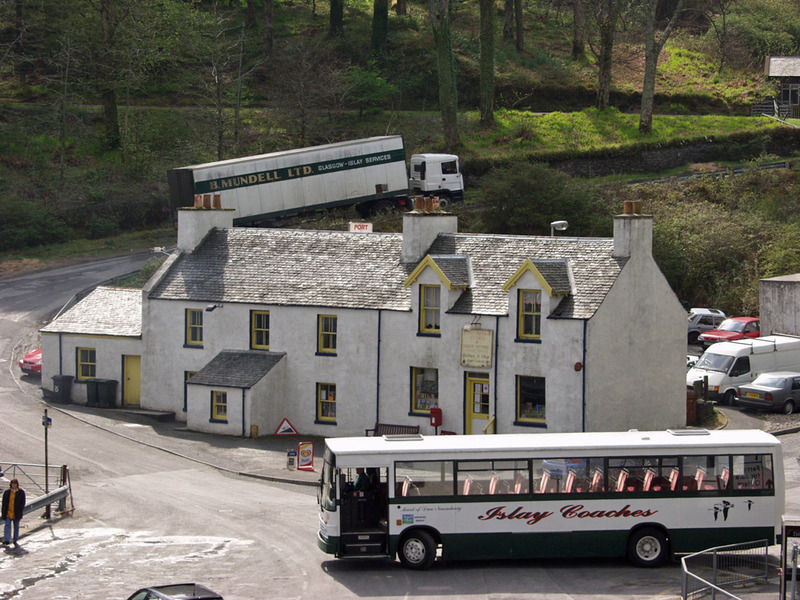 Two well known commercial vehicles on Islay seen in Port Askaig: One of Mundell’s lorries and one of Islay’s coaches. This is a slightly older picture, taken before Port Askaig was redeveloped. This entry was posted in Landscape, Repost, Sunny Weather, Village and tagged Islay, Port Askaig by Armin Grewe. Bookmark the permalink.